The Bank of Ireland festival of age-grade club rugby takes place this Sunday at Irish Independent Park. Crosshaven-Dolphin meet Fermoy in the U-16 Bowl final (11.15am), while Waterpark and Young Munster go head-to-head in the U-16 Plate final at 1.20. The U-16 Cup final sees Bandon play Midleton (3.25) with Cobh Pirates meeting Skibbereen in the U-18 Cup final at 5.30pm. Douglas-Carrigaline and Thomond contest the U-18 Bowl final tomorrow (5.0). The Ballyseedy Home & Garden Volunteer of the Month for February was awarded to St Mary's fixtures secretary Christy McNamara. Christy opens and closes the club grounds several days a week and liaises with building contractors when work needs to be completed. 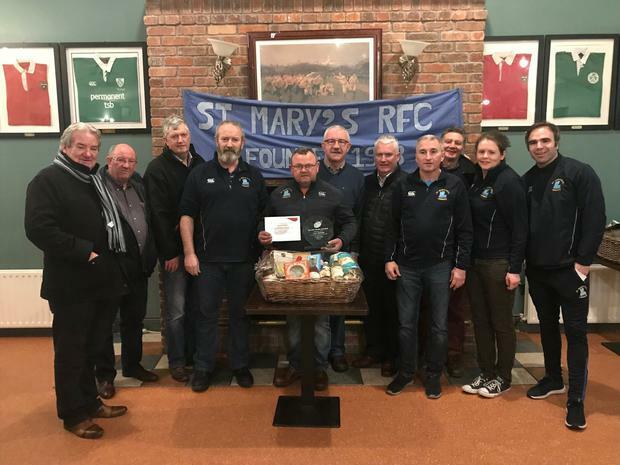 He has been a member of St Mary's for over 30 years, first as a player and then as a volunteer, and also sits on the club's Rugby Committee travelling to all of the St Mary's Junior team's away games.